The study, led by researchers at the University at Buffalo, is the first national study of its kind involving U.S. women, and the first to focus specifically on older women. It's also the first study to find an association between periodontal disease and gallbladder cancer risk in women or men. The findings were published today (Aug. 1) in the journal Cancer Epidemiology, Biomarkers & Prevention. "This study is the first national study focused on women, particularly older women," said Jean Wactawski-Wende, the study's senior author. "Our study was sufficiently large and detailed enough to examine not just overall risk of cancer among older women with periodontal disease, but also to provide useful information on a number of cancer-specific sites," added Wactawski-Wende, dean of UB's School of Public Health and Health Professions and a professor of epidemiology and environmental health. The study included 65,869 postmenopausal women enrolled in the Women's Health Initiative, an ongoing national prospective study designed to investigate factors affecting disease and death risk in older American women. The average age of the participants was 68, and most were non-Hispanic white women. As part of a follow-up health questionnaire, participants were asked "Has a dentist or dental hygienist ever told you that you had periodontal or gum disease?" Women who reported a history of gum disease had a 14 percent increased risk of overall cancer. Of the 7,149 cancers that occurred in the study participants, the majority—or 2,416—were breast cancer. "There is increasing evidence that periodontal disease may be linked to an increased cancer risk and this association warrants further investigation," said the paper's first author, Ngozi Nwizu, who worked on the research while completing her residency in oral and maxillofacial pathology in UB's School of Dental Medicine and her doctorate in pathology (cancer epidemiology) at UB's Roswell Park Cancer Institute Graduate Division. Nwizu is now an assistant professor of oral and maxillofacial pathology at the University of Texas Health Science Center at Houston. The risk associated with periodontal disease was highest for esophageal cancer, the researchers reported. "The esophagus is in close proximity to the oral cavity, and so periodontal pathogens may more easily gain access to and infect the esophageal mucosa and promote cancer risk at that site," Wactawski-Wende said. Gallbladder cancer risk also was high in women who reported a history of gum disease. "Chronic inflammation has also been implicated in gallbladder cancer, but there has been no data on the association between periodontal disease and gallbladder risk. Ours is the first study to report on such an association," Nwizu said. The esophageal and gallbladder cancer findings are significant, Nwizu said. "Esophageal cancer ranks among the most deadly cancers and its etiology is not well known, but chronic inflammation has been implicated," she said. 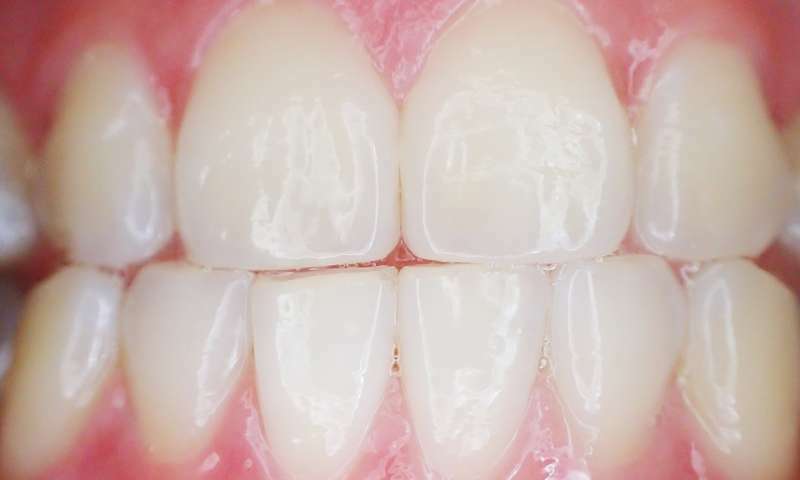 "Certain periodontal bacteria have been shown to promote inflammation even in tiny amounts, and these bacteria have been isolated from many organ systems and some cancers including esophageal cancers. It is important to establish if periodontal disease is an important risk of esophageal cancer, so that appropriate preventive measures can be promoted." "The elderly are more disproportionately affected by periodontal disease than other age groups, and for most types of cancers, the process of carcinogenesis usually occurs over many years," said Nwizu. "So the adverse effects of periodontal disease are more likely to be seen among postmenopausal women, simply because of their older age."